It was only a few weeks ago that DJI announced the MAVIC Air drone, a smaller, lighter version that fit between the Mavic Pro and the consumer grade DJI Spark drones. But for more professional applications, we’ve been waiting to hear when a next generation Phantom, Inspire and Mavic Pro would be coming. And the rumor mill is rampant with a month to go til NAB. DJI Phantom 5. This news comes from Twitter user OsitaLV, who got their hands on some product shots on the Phantom 5. On the outside, the Phantom 5 will likely maintain it’s iconic four boom X design as previous Phantom models, but may have a sturdier aluminum shell. The P5 will also have a 4K camera that has interchangeable lenses. 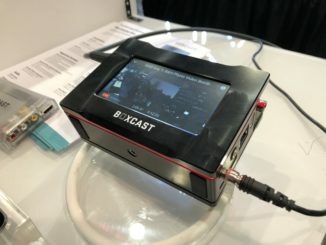 This looks to be the latest trend in DJI’s design ideas, and it is likely a dividend from their partnership with Hasselbad. And it makes sense. You have interchangeable lenses, you can sell them! The rumor mill is also speculating that with the new camera array, users can expect a rise in the MSRP to $1999. DJI Mavic Pro 2. 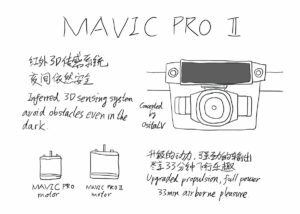 OsitaLVs Twitter feed is also filled with images from the upcoming 2nd Generation Mavic Pro, which will boost it’s flight time to 32 minutes, and will have the same camera and 24mm lens from the Phantom 4. If DJI is doing that, could it essentially be a foldable Phantom 4? If so, it will be bigger than the previous generation. My thoughts on this is that Osita probably got a hold of images from a prototype. I don’t think we’ll see a larger Mavic Pro 2, unless DJI is going to create some distance between the Air and the Pro, and are planning to retire the Phantom line and merging features into the Mavic line. 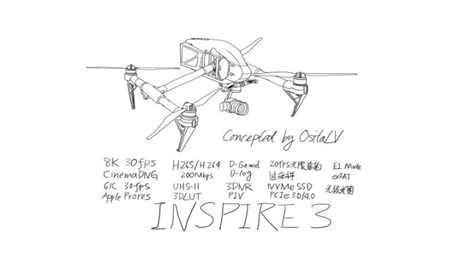 Inspire 3. 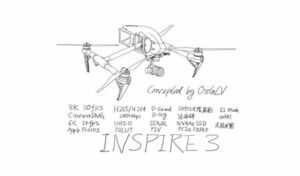 The Inspire 3 will likely be a major “dot upgrade,” which will have the same basic frame and the flight envelope of the Inspire 2, but will come with an updated camera that will initially shoot in 6K, but will eventually go up to 8K with a future firmware update. 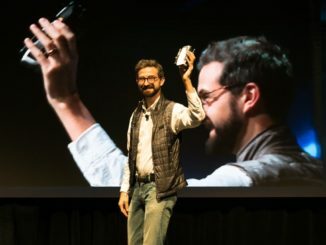 The camera will also have stepless iris control and will be supported be three different gimbal options for 1-inch, Micro Four Thirds, and Super 35mm CMOS sensors. It will also support the open source Cinema DNG Raw standard. Don’t look for the Inspire 3 until late Fall, however. This is the DJI VTOL fixed-wing drone for industrial purpose. DJI Vtol. Lastly, DJI may be getting into a VTOL drone category with a fixed wing aircraft that can switch to vertical hover like a Harrier jump jet. 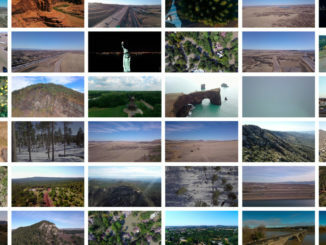 It will have a a flight time of an hour, support DJI Zenmuse X3, X5, XT and Z3 cameras, and is designed chiefly for mapping, search and rescue, and surveillance. It’s expected to have a huge $50,000 price tag. While we won’t see the last two models until later this year, it is believed we’ll get an announcement of the Mavic Pro 2 later this month, followed by the Phantom 5 shortly thereafter. I would think that if the details are close to accurate, we’ll get them just before NAB.